I own two kinds of absorbent towels. One is an Aquazorb, and one that has no brand (got it as a wedding souvenir). But in all of the times that I've used both, I would usually feel uncomfortable with the fact that neither doesn't dry my body as fast. Sure, both towels are absorbent. But I've been on a constant look out for that one absorptive cloth that will help soak up the moisture from my face and body in a jiffy. I'm also looking for that 'quick-dry feel' from a towel, but with an extra softness to it. Get it? Well, I just found one recently --- and it's all in a TOWELITE! No doubt that it's one of my favorite travel must-haves now. Towelite's Mission: Making your travel more convenient! "Towelite is the towel made especially for travel, sports and outdoor activities. It is compact & light weight; super absorbent & quick dry. No more worries about the bulky and heavy towel. With Towelite, you can surely travel light! It is made from high quality and ultrafine microfiber towel that is ideal to be used in travel, sports and outdoor activities. Towelite can be folded into an incredibly small size. It absorbs more and dries up much faster. 90% of the water can be removed just by wringing it. In addition, Towelite is hypoallergenic, gentle to the skin and will not cause skin irritations. With Towelite, you dont have to worry about towels being too bulky and heavy. 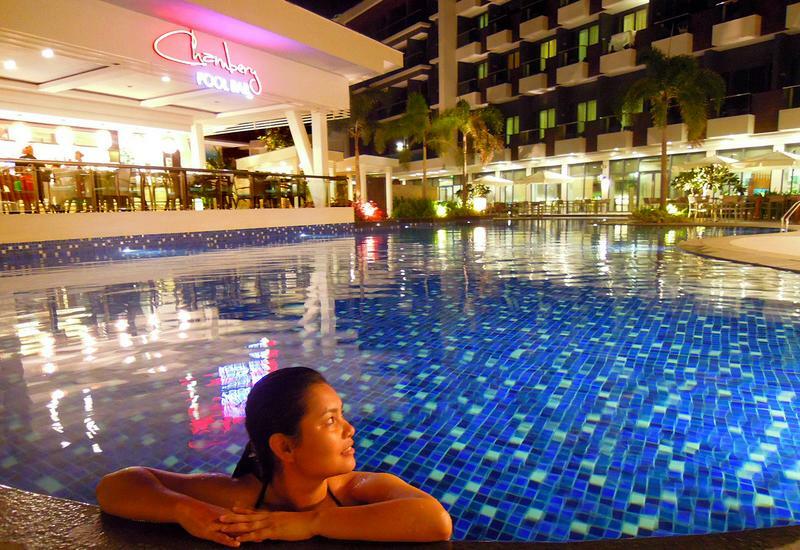 We simply make travel more convenient!" 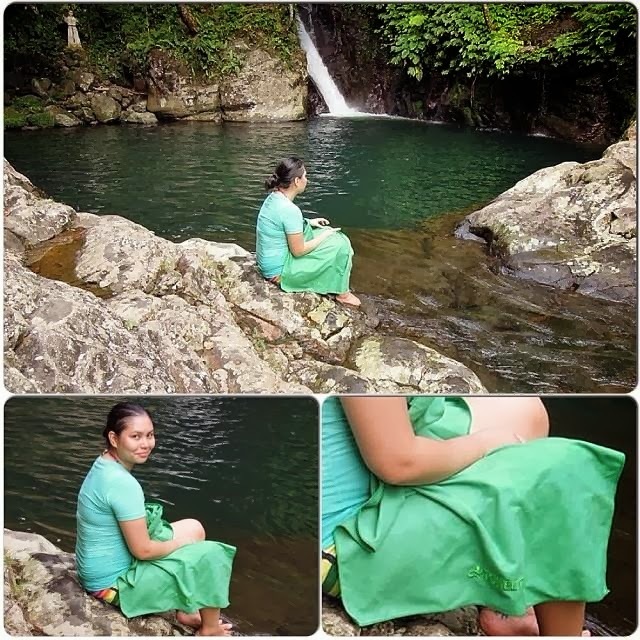 The first time that I tried my green Towelite bath towel was back in Almeria, Biliran (November 2013), where my friend and I went hiking on our first day in the province. Our tour guides were able to bring us to two different waterfalls: Ulan-Ulan and Recoletos Falls. Given that it was the longest, uneven trail that I've walked on since my foot injury, my body immediately gave out an intense sweat. Good thing I brought along my Towelite. It has proven very handy throughout our hike. Of course, it has made itself more useful after dipping half of my body in the icy waters of Recoletos Falls. I'm usually the type that gets chilly after a quick swim. But my towel saved me from experiencing it, as it absorbed the excess water from my clothes. I mean, I wasn't dried up completely. I still felt damp, but it wasn't the cold and uncomfy type. The second time that I used my Towelite was in Baguio, just two months ago. The room that we availed of had no A/C or fan. So I had issues drying my long hair. But at some point, my Towelite helped absorb the water from my hair. It wasn't completely dry. But it did take in the excess water. I also had Rubel use the bath towel in our recent trip to Malaysia, just so he could also have a feel of the product. And it turned out to be an effective item for him too since he no longer found the need to request for an extra towel when we checked-in at TUNES Hotel (Downtown Kuala Lumpur). Anyway, Rubel's a very picky person when it comes to certain items. So when he started using my Towelite, he didn't want to return it to me anymore. He loved the fact that he was able to dry himself off just by patting the towel on his body --- and it only took a few minutes. Plus, he loved the fact that the texture was smooth, and soft on his skin. You won't have a hard time drying out from a Towelite, since it dries quickly --- unlike other bulky towels. Towelite also offers a lot of other towel types such as a Beach Towel, Bath Towel, Sports Towel, Hand Towel, and Yoga Towel. 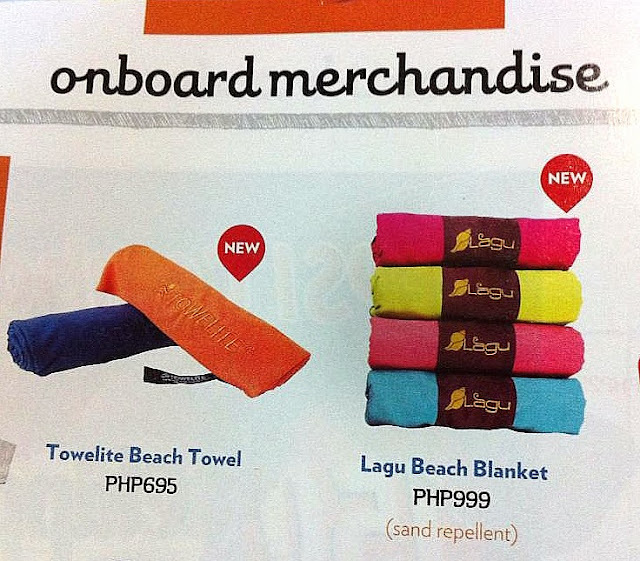 They've also started selling their towels via Cebu Pacific Air. PaoPao, anong towel brand yung sayo? Hehehe.